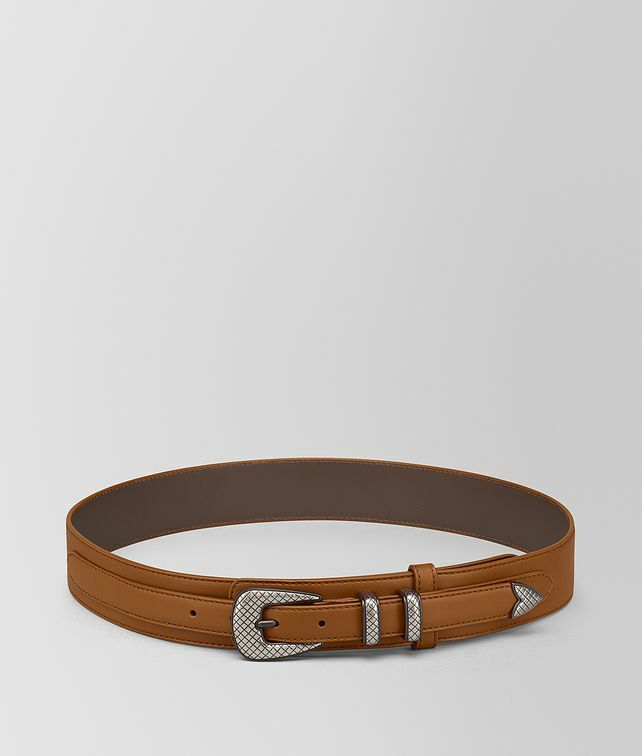 This wide belt is crafted from smooth French calf leather. This casual style is accented with a bold metal buckle, loops and tip, engraved with Bottega Veneta's iconic intrecciato motif. Height: 4 cm | 1.6"